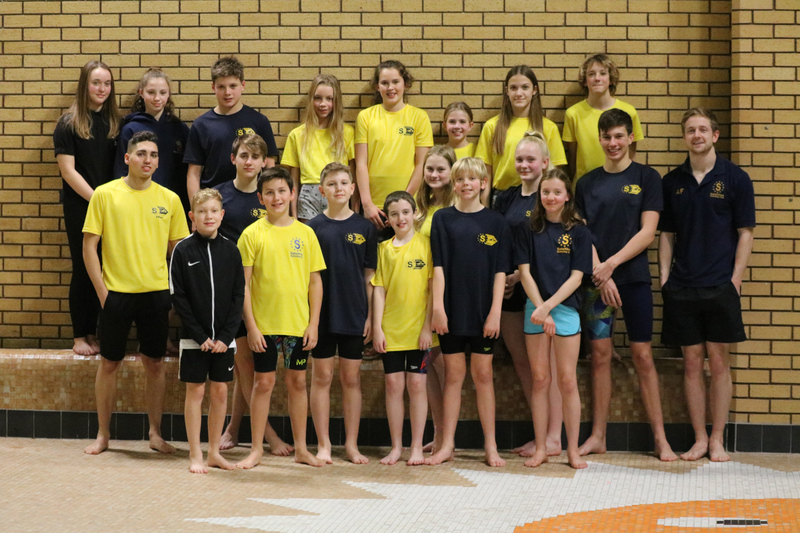 On Saturday 8th December, a selected group of swimmers from Satellites travelled by coach up to Kendal to compete in the 3rd round of the 2018 ARENA league championship. We were under pressure to perform well as we were fighting to remain in Division 1. All swimmers, whether competing in individual or team events, gave it their all and we managed to finish in 2nd place – only 2 points behind 1st place. Fantastic result – well done and congratulations to all swimmers who took part in this and previous 2 rounds. We are currently in Division 1, but would like to regain our place within the Premier league in the near future! Many know the story of this adventurous trip! Due to very inclement weather, a flood delayed the coach by 2 hrs…..the coach then broke down 2 miles from the gala venue, resulting in the whole coach-load of swimmers having to get off and walk. 11 races were missed, along with valuable points, but coaches were very impressed and proud of swimmers positive attitude. A tough round, especially as we had been drawn against Cossacs and Stretford – 2 very strong teams of Div 1. Again, all swimmers competed and fought well – we finished 4th out of 6 teams. When points for all teams from these first 2 rounds were collated, we were unfortunate to be then drawn in the bottom 6 teams – we needed to finish in the top 3 teams in this final round to avoid relegation. Round 3 (Dec) – Kendal – again! Pressure was now on! Despite not having a full U15 team for boys or girls, meaning U13 swimmers having to compete in their own age group races, then ‘swim up’ and U11 team consisting of mostly 10 year-olds, Satellites did it! It was exciting right till the last race – coming 2nd, only 2 points behind the winners. Swimmers, coaches and supporters alike were justifiably proud! We live to fight another day in Division 1! Well done to all involved in the 2018 championship. Looking ahead as a team…..not only do we have next year’s ARENA to look forward to, but recently our club has been approached to ask us to join the Peaks and Plains Swimming League. This is a similar team event which is run jointly by affiliated swimming clubs from Cheshire West and Cheshire East, 3 galas taking place, typically, in January, March and June. Steve and the rest of the coaching team are excited to be able to make selections for this new event for Satellites.